The legs are black. 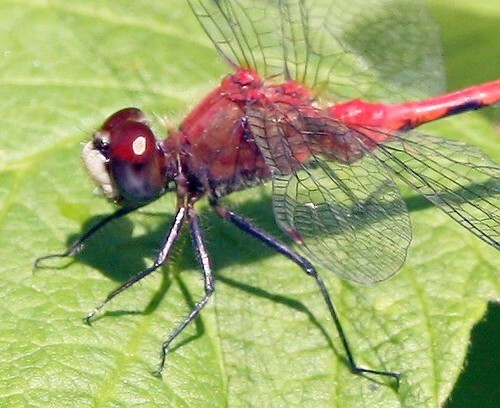 The leading wing veins are black. On juveniles the thorax is yellow without black markings. Time: 5:00 pm eastern time. 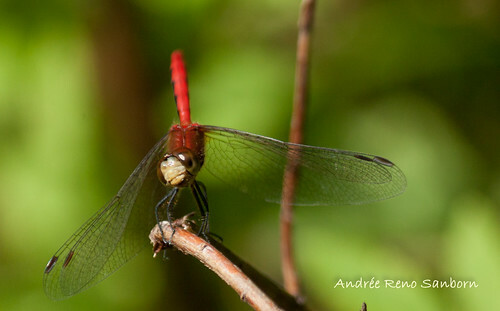 Note: Dragonfly. Perched on bush. Trusting behavior. 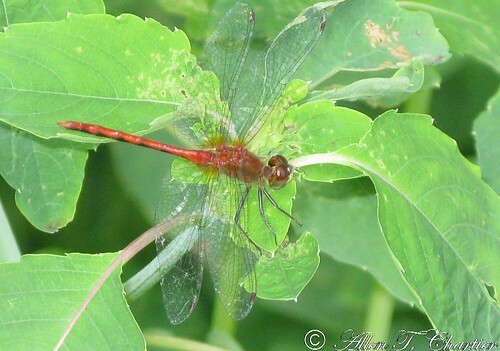 Photographed at Turtle River State Park, North Dakota (20 July 2009). Photographed at the Rydell NWR, Minnesota (18 August 2009). I've been seeing lots of these, both male and female, in my garden and have been trying to identify them. Also seen recently: hemaris thysbe and hemaris diffinis, plus a number of beautiful ebony jewelwings in the Carleton College arboretum. Thank you for your helpful photos and website!